Lately Exploding In Sound Records seems to be exclusively in the business of releasing classics. During a summer that saw Boston's humble scene get hoisted by the collar up into the spotlight -- due in large part to a breakout record from a certain Western Mass.-based former signee -- the Brooklyn-based label was never far from the conversation. We like to think Pile's very rad Dripping LP -- a late 2012 EIS release -- was instrumental in setting the gears in motion for this year's ascendance of Massachusetts indie rock. Now EIS has yet another barnburner on its hands, the sophomore full length (but "proper studio" debut) from Boston punks Kal Marks, titled Life Is Murder. The collection sees the six-year-old trio turning away from the more surfy and jangly vibrations of its 2011 debut Goodbye Horses and doubling down on a darker, grittier sound. The title of the new record is a bit of a bait-and-switch. Fans looking for a self-serious slog concerning mortality -- and fans unaware that a terrific 2012 Kal Marks cassette was called Piss Of The Century -- will be disappointed. 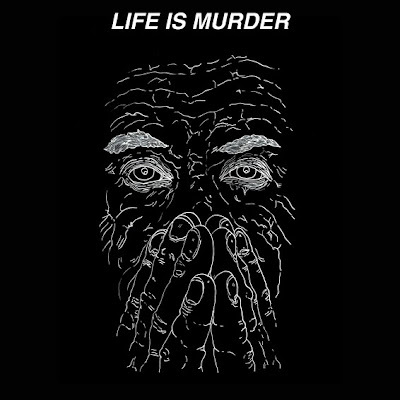 In fact, Life Is Murder may be one of the funniest records you'll hear this year. To whit: in the title cut fronter Carl Shane detachedly sings of self-pleasure from inside a maelstrom of massive, grungy riffing, drily observing that "a reach-around in jail" is better than being alone. 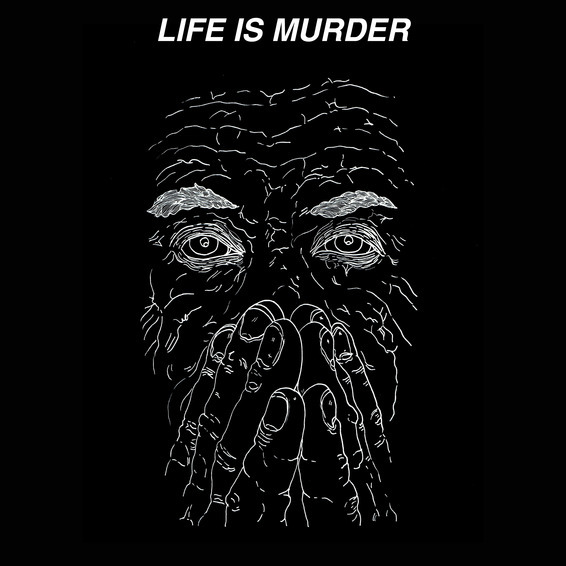 Mr. Shane bends and drags his unique, amphibious voice through Life Is Murder's nine tracks, modulating his attack between piercing and poignant in time to the band's shifting arrangement of sinewy guitar, bludgeoning bass and clattering drums. Setting his whip-smart lyrical shenanigans against the trio's borderline sludge establishes a tension that keeps the LP engrossing straight through to the spine-tingling climax of the titanic closer "Out In The Deep." There, Shane's unhinged prophesying "...and you're too busy getting high, all the time... and I will fall from a great height..." manifests as deliberate, emotional gut punches.